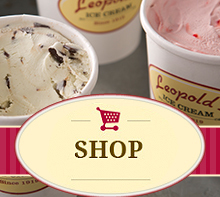 Leopold's Ice Cream / Scrapbook / Uncategorized / Cyber Monday Sale! Minimum order to receive 2 additional pints free is 4 pints. Please place at least 6 pints into your cart before using coupon code. 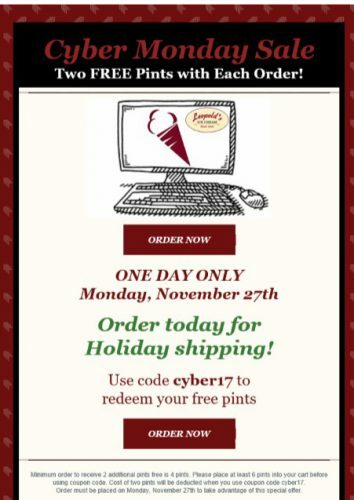 Cost of two pints will be deducted when you use coupon code cyber17. Offer available on shipping orders only. Order must be placed on Monday, November 27th to take advantage of this special offer. « Let It Snow, Let It Snow, Let it Snow! Free ice cream if the flakes start falling!